I've been trying to keep this a secret, but, just don't think I can any longer. 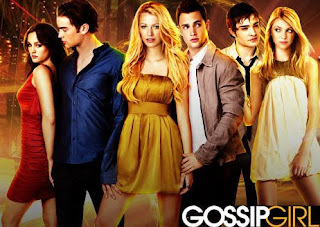 I have developed an addiction to the sick and twisted lives that are characterized on Gossip Girl. I don't know how this happened...nope...wait. I think the guy that plays Chuck Bass is cute in a douche-baggy kind of way so I rented it. me too... they started playing it, here in australia, from the beginning and i just can't get enough!